Getting traffic through your home when it is for sale is always a key component to getting the home sold. 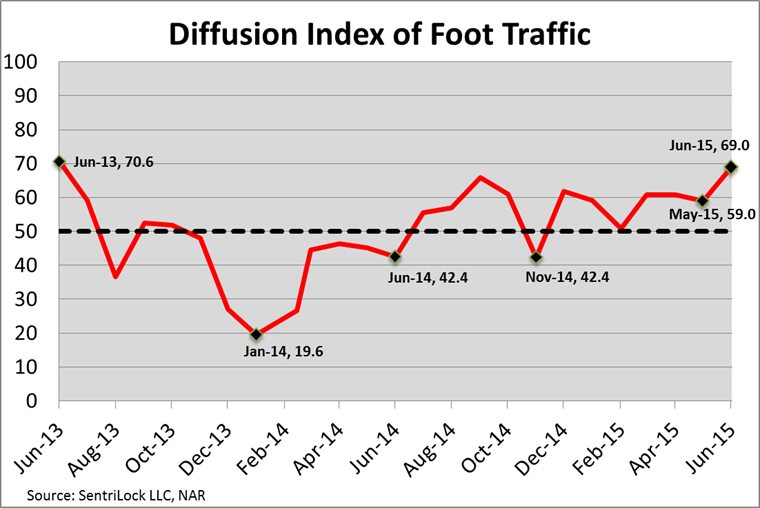 Foot Traffic is also an indicator used to predict the strength of the real estate market. Guess what? This summer is proving to be a hot real estate season. 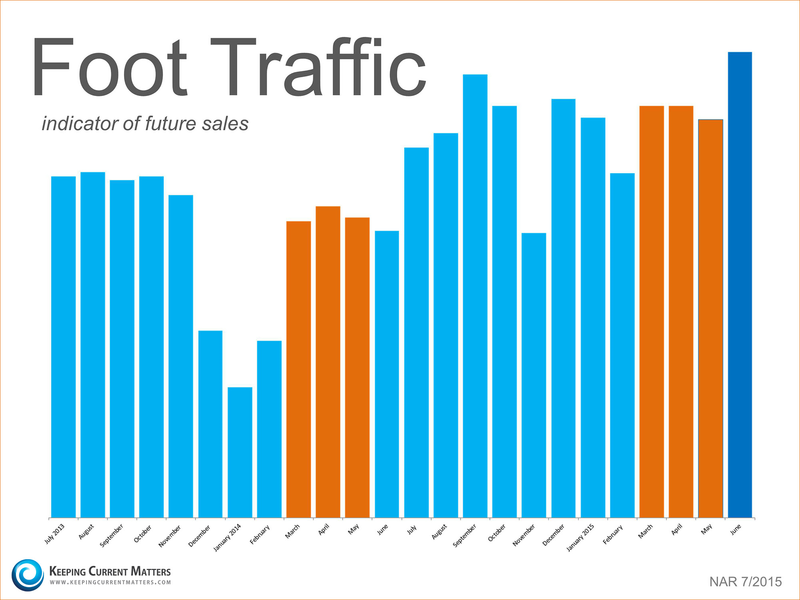 The National Association of Realtors (NAR) publishes a monthly “Foot Traffic Report“, (yes, there is such a thing), which tracks traffic through homes on the market. This tracking is done through the electronic locks that Realtors use to access keys to show homes. It represents the number of homes that have been shown by a realtor. Looking at the graph below it is apparent that there is a strong uptick in the number of showings just in the last 2-3 months. People always talk about the “spring buying season” when they talk real estate. However, this year it appears as though the summer real estate market will be just as hot. 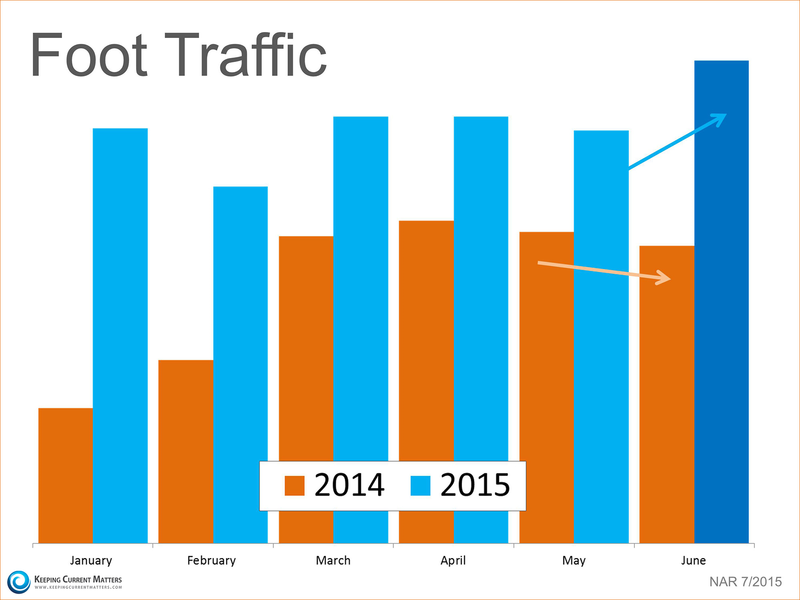 NAR’s most recent “Foot Traffic Report” revealed that there are more buyers out looking at homes right now than at any other time in the last two years including the past two springs (in orange below). Remember, this is just Relator showings, it does not include other traffic such as open houses, which have also been very busy as well recently. The bottom line is that the housing market will remain strong throughout the summer and into the fall, making for one of the best years in real estate over the last decade. If you’re on the fence as to whether or not you want to list your home, give the Ransom-McKenzie Team a call. We would be happy to meet with you to discuss the market in Riverside and assist you with your Real Estate needs.